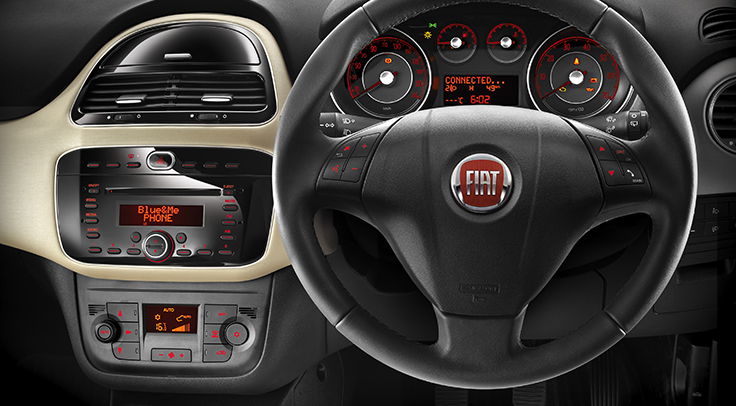 Fiat Punto Evo is known for its excellent design language and engineered keeping Indian customers in mind. 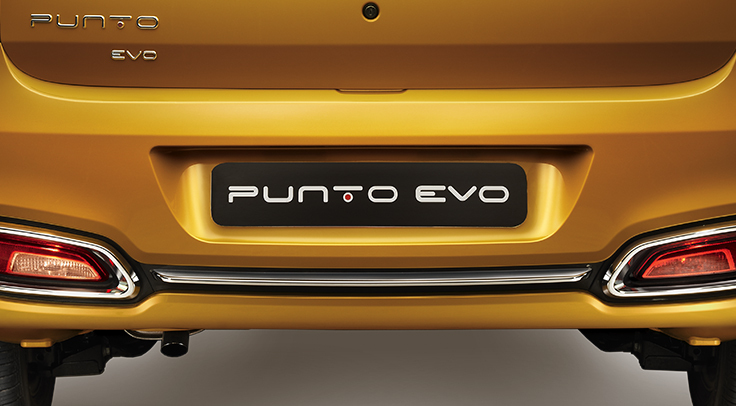 Punto Evo comes with petrol and diesel versions with in which there are different variants namely 1.2 L FIRE Petrol, 1.4L FIRE Petrol, 1.3L MULTIJET Diesel and 1.3L MULTIJET Diesel 90 Hp. While the specifications of particular aspects like Transmission, Suspension, Brakes and Dimensions of all variants are same, there are changes in engine and fuel tank capacity across all variants of Fiat Punto Evo. The engine displacement capacity of 1.2 litre FIRE petrol is 1172 cc with a maximum power of 68 ps @ 6000 RPM and with a maximum torque of 96 Nm @ 2500 RPM. 1.2 litre petrol engine has got 8 valves and SOHC camshaft. The engine displacement capacity of 1.4 litre FIRE petrol is 1368 cc with a maximum power of 90 ps @ 6000 RPM and with a maximum torque of 115 Nm @ 4500 RPM. The 1.4 litre petrol engine has got 16 valves and DOHC camshaft. The engine displacement capacity of 1.3 litre MULTIJET Diesel is 1248 cc with a maximum power of 1248 ps @ RPM and with a maximum torque of 197 Nm @ 1750 RPM. The 1.3 litre diesel engine has got 16 valves and DOHC camshaft. The engine displacement capacity of 1.4 litre MULTIJET Disel 90 Hp is 1248 cc. The engine provides a maximum power of 93 ps @ 4000 RPM and with a maximum torque of 209 @ 2000 RPM. This variant’s engine has got 16 valves and DOHC camshaft. The Transmission type of all variants of Punto Evo is 5 speed manual. The front suspension of Fiat Punto Evo is Independent wheel suspension with McPherson struts helical coil springs, double Acting telescopic dampers and stabilizer bar. The rear suspension of Fiat Punto Evo is of Torsion neam, helical coil springs and double acting telescopic dampers. Fiat Puno Evo has a ventilated disc brake in the front and Drum brake at the rear. Only the 1.2 litre Petrol variant of Fiat Punto has a ground clearance of 195mm, while all other variants of Fiat Punto Evo has a ground clearance of 185mm. Fuel tank capacity of Fiat Punto Evo is 45 litres.